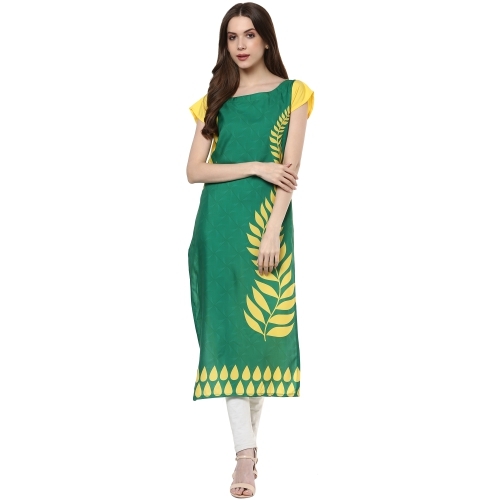 Give Your Off-Duty Style A Fusion Look With This Green Coloured Kurti From The House Of Anuswara. 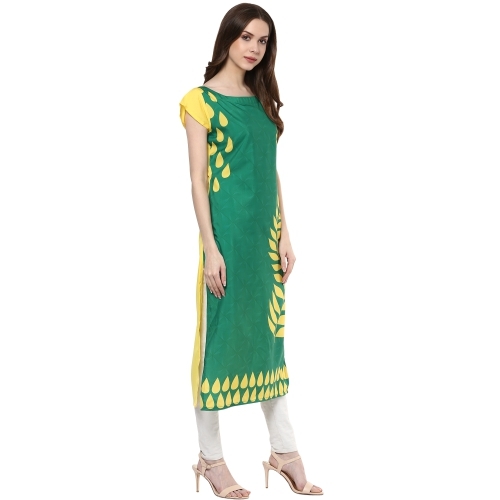 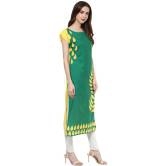 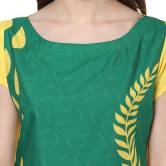 The Crepe Make Of This Kurti Ensures Wearing Comfort For Casual Look. 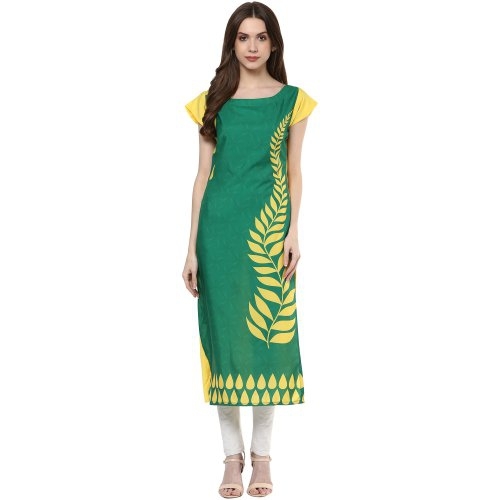 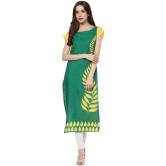 Adorned With A Digital Print And Featuring Straiaght Hemline, This Kurti Will Elevate Your Ethnic Style As You Team It With Black Leggings And Strappy Flats.